A box frame is a frame that is deep enough to accommodate a frame slip. The slip is mitred and fitted inside the frame between the glazing and the item. 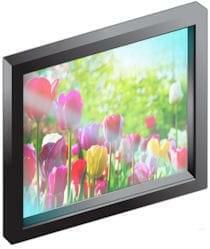 The depth of the slip in the frame is included within the frame code and description. is a 33mm wide frame with a 30mm slip. 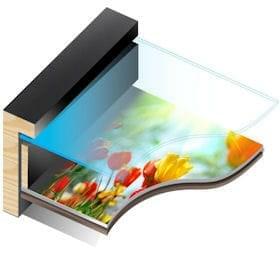 If you look at the cross section above, the frame slip is the material between the glazing and item. In this example there is a 30mm space in-between the glazing and item.